If ceramic tile is your preferred floor covering, we at Joseph's Flooring can provide you with endless ceramic tile choices. From floor tiles in 8x8, 12x12, 13x13, 18x18, and larger, to wall tiles in 6x6, 6x8, 8x8, and 12x12, to matching floor and wall combos. We also carry marble, granite tiles, slate, porcelain, quarry tile, and elegant, decorative accents to create that unique look. 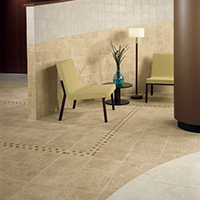 Joseph's Flooring is your ceramic tile headquarters. 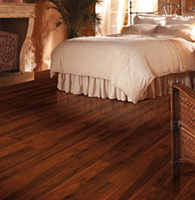 A nice alternative to hardwood flooring, laminate is much more durable and can cost less. 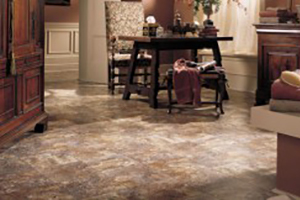 Available in a multitude of styles, colors, and patterns, laminate is a great choice for your home. For an active family lifestyle and for families with pets, laminate flooring is the flooring of choice. Virtually scratch resistance, indent proof, ultra easy maintenance - it's the perfect choice. Let a The Flooring Network store sales associate show you the options best suitable for you. 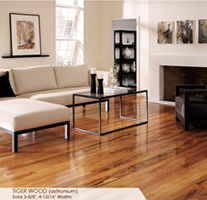 The natural look of hardwood floors will match any home décor imaginable. Once thought to be suited only for living rooms and dining rooms, Hardwood flooring has gained the distinction of the flooring of choice for virtually any room in your home. Hardwood floors are easy to maintain and will last for years while gaining character as they age. Joseph's Flooring currently offers you a tremendous collection of ¾" solid hardwood and engineered hardwood flooring from Anderson®, Ark®, Barefoot®, BSL®, Scandian®, Somerset®, Weyerhaeuser®, Lyptus® (Green Product), We Cork® (Green Product), Moosewood® (Green Product), Lauzon® (Green Product), Ancestral® (Green Product) and more. Area Rugs are a great way to accent a room. With a stylish combination of color and design area rugs can complement your couch, wall color, drapes, etc… They have the ability to bring everything in a room into harmony and put the finishing touch on every furniture ensemble. 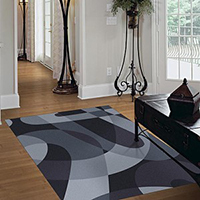 A few of the many styles to choose from are braided, oriental, contemporary, and sports area rugs. Whatever you decide on, it can become the real focal point and add certain warmth to your room. Vinyl flooring, also referred to as "resilient" flooring, is one of the most affordable flooring solutions available to you. Vinyl is tough, resistant to scratching, scuffing, staining, indentation and other daily abuse. Resilient floors maintain their good looks even in heavy traffic areas with the proper maintenance. 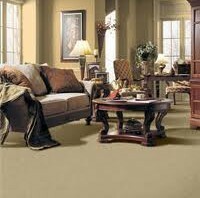 Click to learn more about Carpet options and care.